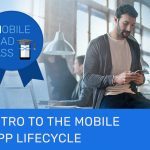 The Strategy phase of the mobile app lifecycle involves careful consideration of goals, timeline, budget, scope, stakeholders and decision-makers—including some specific questions that traditional marketers may not be familiar with. Whether you are building a new app or enhancing an existing one, you should revisit and refine your mobile app strategy often throughout the app lifecycle. At the end of this lesson, MBA candidates should understand the fundamental elements of developing a mobile app strategy and how the key points differ from traditional marketing strategy considerations. As a marketer, you’re already familiar with building a strategy for a marketing initiative. Certain fundamental questions help you define the project objectives, scope, etc. In mobile, those basic questions remain the same, but the answers often look a bit different than they do for more traditional channels. Let’s explore. Project Definition: What are we doing? Obviously, you’re building (or enhancing) a mobile app. But you have some choices. The experience you build may be geared for content consumption (news, entertainment), utility (weather, wayfinding), commerce (hotel, retail) or gaming. It may be a hybrid of those things. But keep in mind that brands often go wrong by trying to be everything to everybody. A note about devices: Most mobile experiences are designed for smartphones (iOS and Android), but you may also want to consider tablet, smartwatch or TV extensions of your mobile application. It’s important to make these decisions in the Strategy phase because device operating systems will dictate other decisions down the road. Objectives and Target Audience: Why are we doing it, and who’s it for? For a new mobile project, you may start off with very broad objectives and target audience(s). While goals and target audiences like these are fine to start, it will help you to be as specific as possible. Just like with any other marketing effort, mobile objectives are more actionable and measurable when they are clearly defined. Clearly defining your target audience(s) will also boost your chances of success. According to the comScore 2017 U.S. Mobile App Report, mobile app usage dominates digital time spent across all demographics from age 18 up to 64—only those over 65 spend more digital time on another platform (in the case of seniors, that’s desktop). But not all of those mobile users are likely to help you achieve your goals. Timeline and Budget: How fast and how much? Just like your objectives and target audience, you can start with a loose timeline and budget and get more defined as you go. At the very least, begin with a goal launch window and a budget ceiling. Detailed Scope: What features and capabilities do we need? Any mobile app consists of a set of user-facing features and the background capabilities that enable them. It’s important to define the features and capabilities you want your app to have during the Strategy phase because they will affect your budget and timeline—and may have larger implications that should be considered before you proceed. Features should support the planned use cases for your app and will vary depending on your objectives. Typically, a branded app for a mixed-use development might include a store and restaurant directory, property-wide wayfinding and resident services such as package delivery handling and valet requests. On the other hand, a media and entertainment app might offer multiple live video streams, exclusive fan content and upcoming schedule information. Games generally consist of how-to-play content and one or two core loops, plus monetization opportunities such as in-app purchasing, advertising, etc. The feature opportunities are as varied as mobile technologies themselves and some will even require additional physical infrastructure or outside content sources. For example, indoor wayfinding might dictate a beacon installation within all areas to be mapped, while live-streaming video usually requires integration with multiple streaming vendors. Outlining these wants and needs now is crucial to your success. 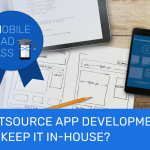 The additional technologies that make up the backbone of your app should not be overlooked. You’ll need some form of content management system and a way to communicate with users (such as SMS or push notifications). Plus, as with most other digital properties, you’ll want to plan for analytics and reporting, and eventually some form of monetization. Team: Who are the stakeholders and worker bees? Brand marketers will likely have a core team consisting of marketing / customer experience, creative, media and digital / virtual staff members. Developers and publishers might have one or more product teams made up of product managers and engineering, plus in-house user acquisition and (potentially) branding and marketing. All mobile initiative teams should also incorporate data science and legal stakeholders, and expect to incorporate additional team members as you move through the lifecycle. (For example, accounting might get involved once you start talking about monetization, and facilities could get involved if there are physical infrastructure considerations related to your mobile experience.) In a very real sense, everybody at your organization should be on the mobile team. Approval process: Who gets to weigh in and when? What approvals are necessary at which stages of the project? Who has the final say on the project? Create a general outline at this stage, then adjust as your process becomes more defined. As your mobile efforts mature, you are likely to move on to enhancing your mobile app with additional features and capabilities. At some point, you may have to build an entirely new app to replace the first one. Each time you begin another initiative, you end up back at Phase 1: Strategy—and it’s a good idea to revisit all of the considerations above. Mobile app strategy is a discipline that can be completed and "set in stone" for the rest of your mobile initiatives. True or False? Successful mobile marketers are continually revisited the Strategy phase of the mobile app lifecycle as technologies, consumers, and their business needs change. Thanks, Erik! There are five more installments to go in this series, so keep coming back! Wow, very clear and densely packed session on the constitutive elements that comprise the The Strategy. I was very impressed by the way in which the material provided me the essentialness of a mobile app and how the app must be viewed as a living and ongoing mechanism that has to be designed to generate and expand to stay viable, useful and critically necessary.